This is a beautiful layout! I love how Ann has used the Moments Captured kit to create her layout for this months sketch challenge. 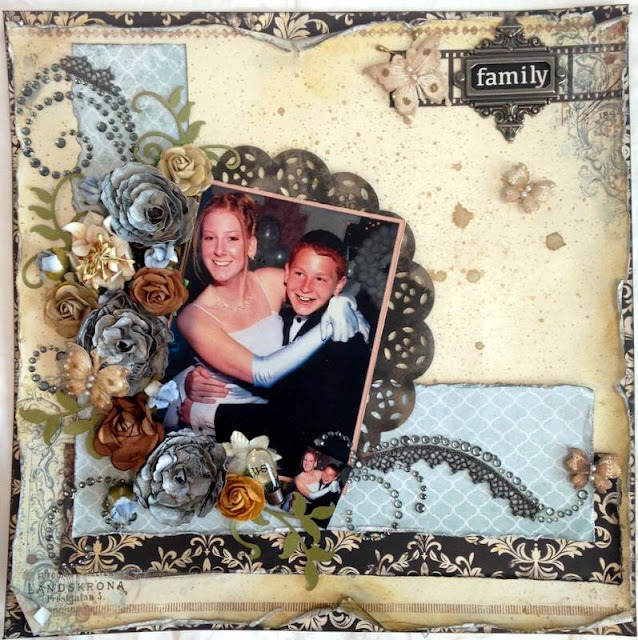 She has done some great distressing and created the most gorgeous flower cluster with the die cut leaves, crystal swirls and those lovely big blue flowers! A little spritzing and a very happy photo make this a worthy winner this week!